This weekend, we happened to go to an Italian chain restaurant for a quick lunch while out for shopping. Since I had been craving minestrone soup, I ordered a bowl, but it was so rich that I wasn’t even able to finish it. I felt this awful heaviness afterwards. 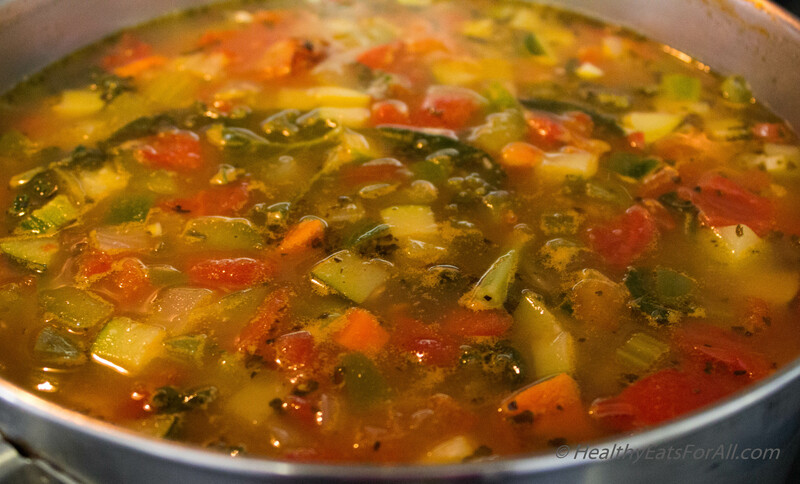 This is a soup that is usually very simple to make, filling, and not heavy. I knew that the next day, to fulfill my craving, I would have to make it at home. 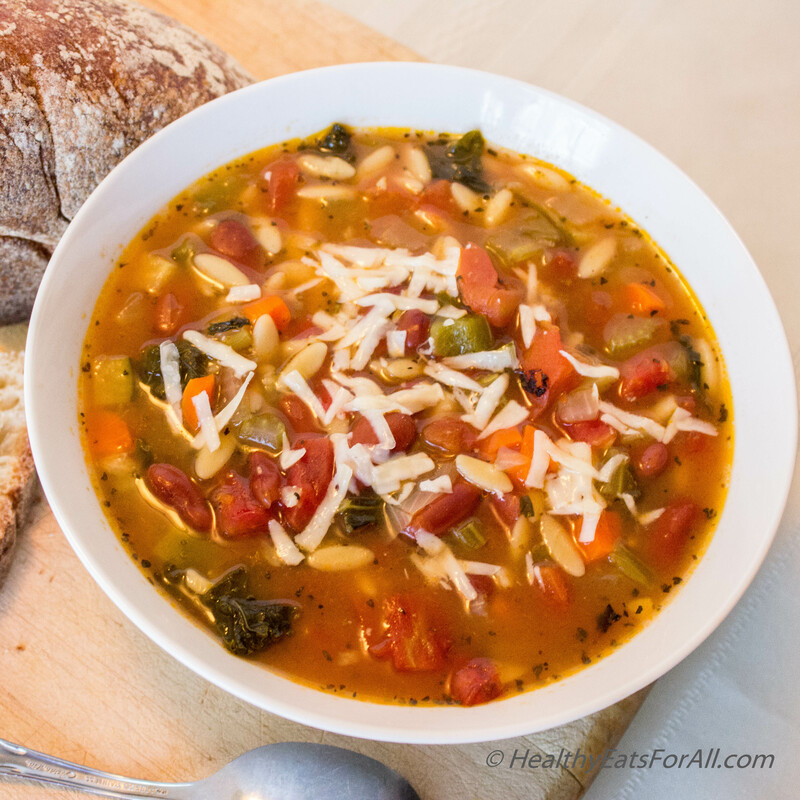 This soup is “very nourishing to the soul,” as my daughters phrase it 🙂 My younger one likes to have a hot bowl of minestrone soup when she comes back home from school. It seems to relax her! 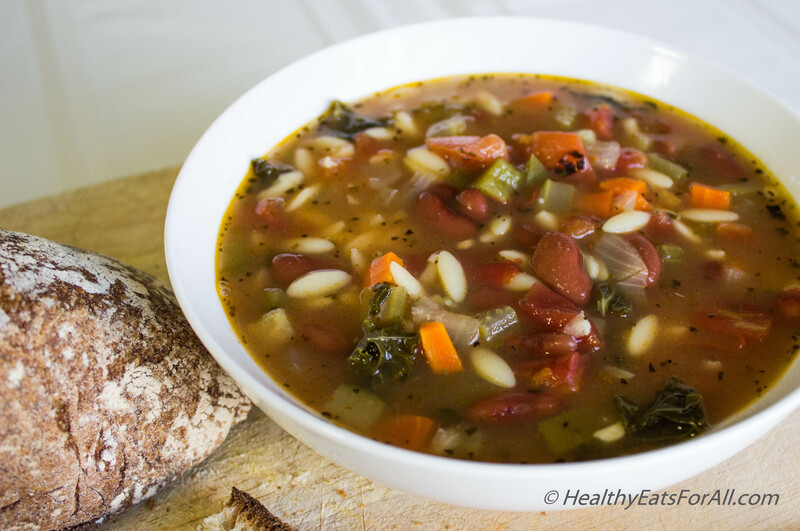 This is a very simple, rustic soup yet, very healthy and nutritious. Don’t worry if you are missing any ingredients; you can either skip or replace them with substitutes from whatever you might have at home. So definitely try this recipe, and I hope you can enjoy it with your loved ones! Organic Vegetable Broth (low sodium) – 1 box 32 fl. Oz. Warm a large pot. Add the extra virgin olive oil. Add the onion and sauté for 1 minute or so till onions are translucent. 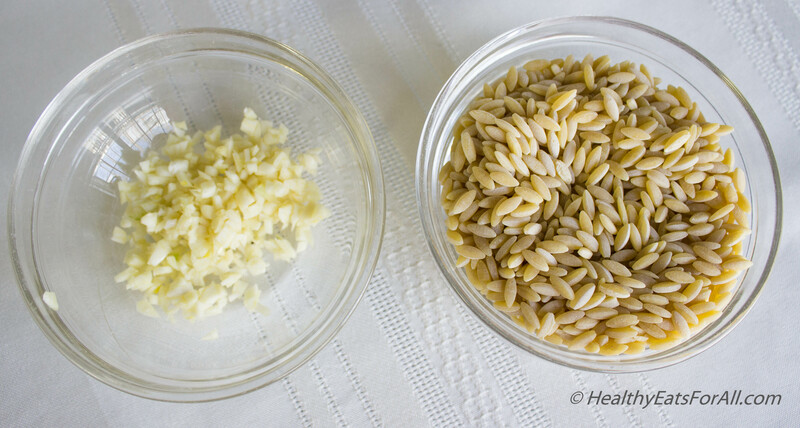 Then add the garlic and sauté for a few seconds. Add the rest of the diced vegetables except potato. Sauté them for 2-3 minutes till they soften a bit. Then add the potatoes. 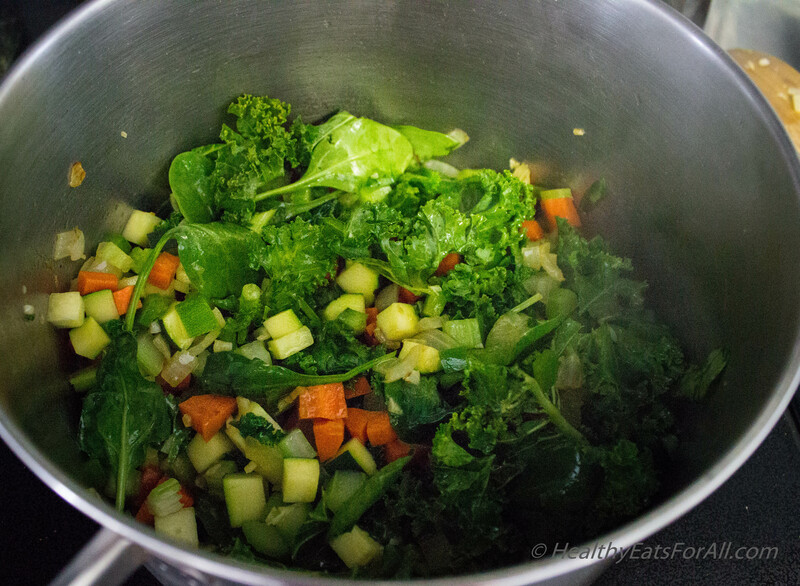 Stir all the veggies for a bit then add the vegetable broth. Then add the can of fire roasted tomatoes and 1½ cans of water. Stir well and add the dry seasonings. 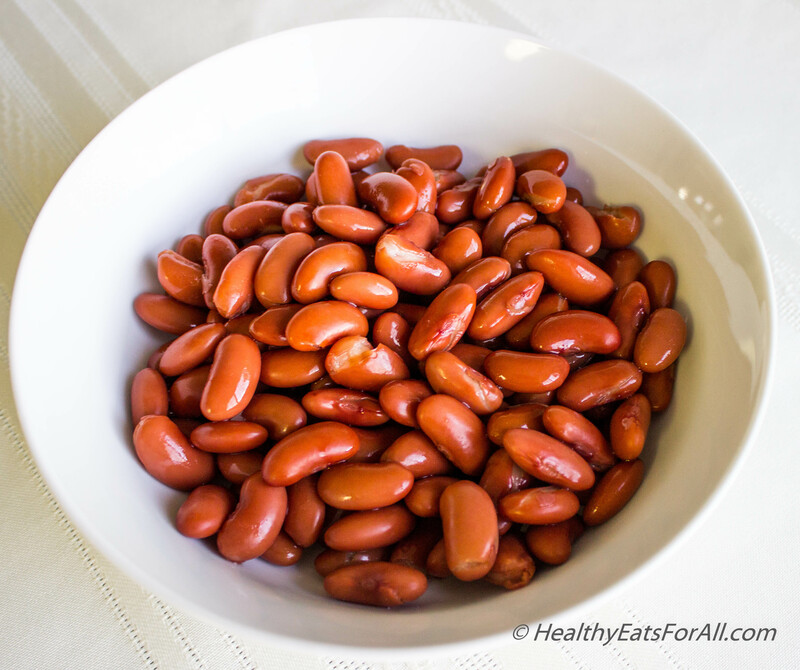 Then add the beans and pasta. Stir really well. Cover and let it simmer for about 40-45 minutes, making sure to stir every 10 minutes so that the pasta doesn’t stick to the bottom. Do a taste test now for any additional salt etc. Enjoy with a warm Panini sandwich or some crusty bread! wow, looks very good! what is a good substitute for fire-roasted tomatoes? Just tomato puree? Thanks Apsara! A substitute for fire roasted tomatoes will be freshly chopped tomatoes. Hope this helps! 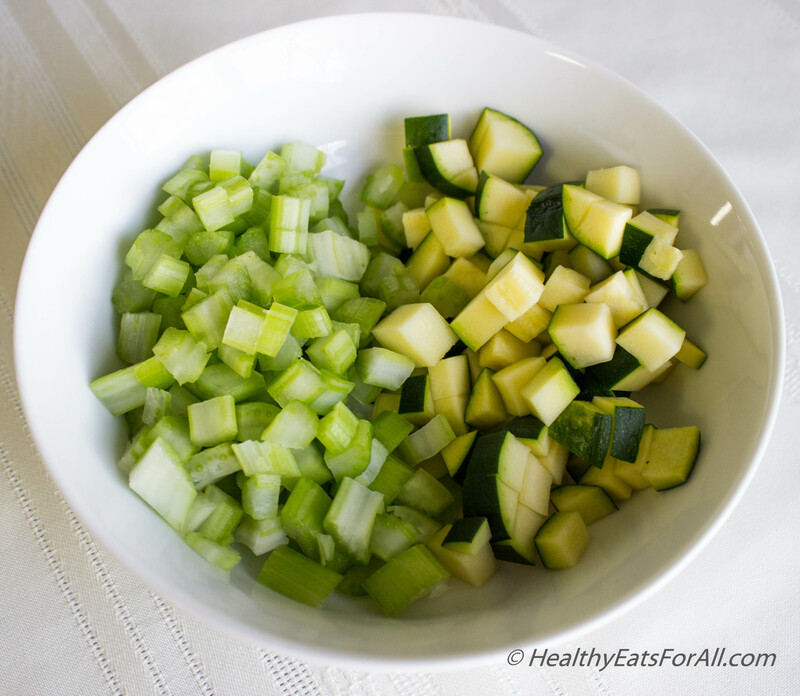 What could be good substitutes for green bell pepper,fresh kale, zucchini and celery? And how do you prepare the vegetable broth? Hello Neera. You can use frozen veggies also in case you don’t have fresh. 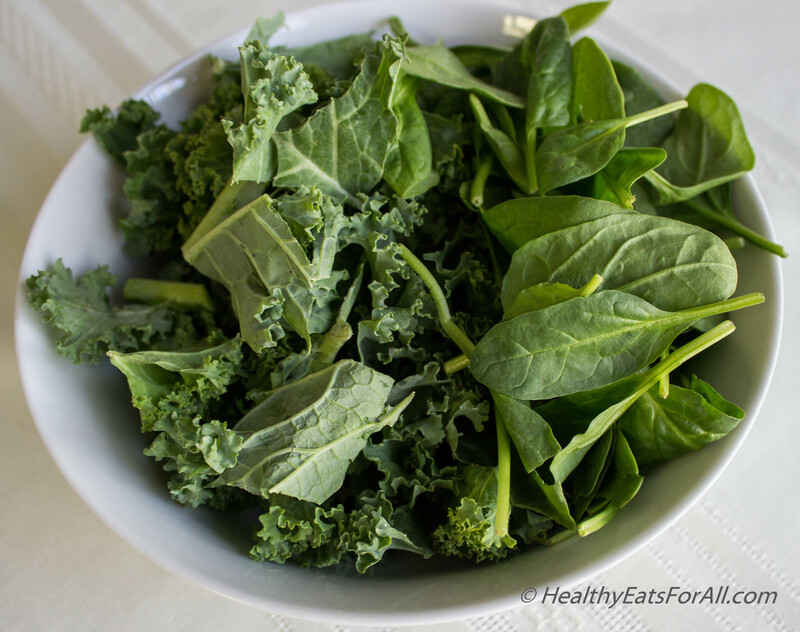 As a substitute you can use chopped up green beans, swiss chard, asparagus etc. You can skip something also. It is not essential to have all veggies. Over here I used ready made vegetable broth. 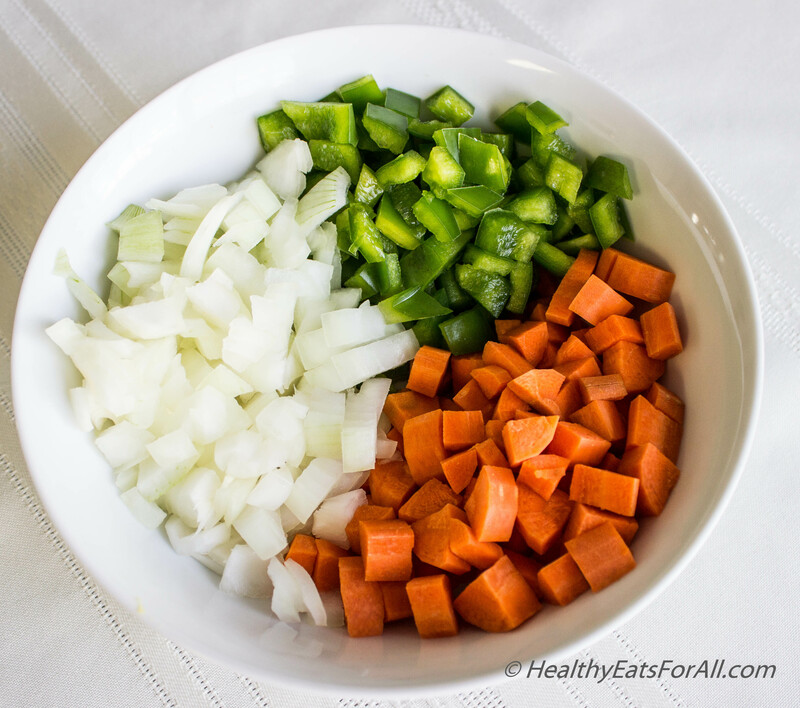 If you have to prepare it yourself, you need chopped up onion, celery, carrots, garlic. Forst you will saute them then add water and then cover and simmer for an hour or so to get a flavorful broth. Hope this helps! Thanks for the reply. This looks too complicated with loads of ingredients, some of them not easily available in neighborhood shops in India. 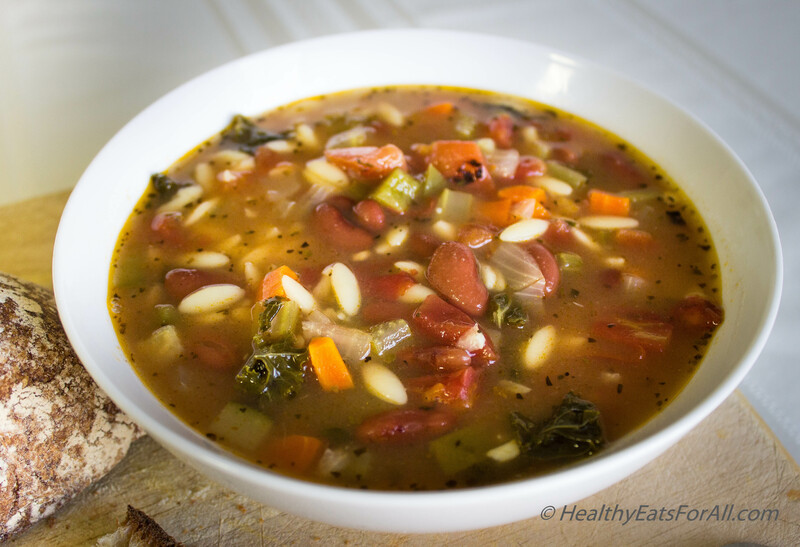 Can you share some easy recipe of a healthy soup?